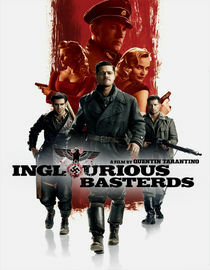 Watched Inglourious Basterds last night over antipasto salad, mozzarella sun-dried tomato stuff chicken, and grilled zucchini. Movie and dinner was AWESOME. If you have not seen the flick, I recommend this Quentin Tarantino slightly gory but entertaining flick.